Most companies are familiar with ERP (Enterprise Resource Planning) software. They rely on ERP systems to help aggregate and organize data that is spread across each of its independent departments. Traditional ERP solutions are often housed within a company’s own server infrastructure and require updating and servicing to stay current. Cloud ERP, as the name suggests, is based in the cloud much like SaaS (Software as a Service.) Unlike traditional ERP software, Cloud-based ERP relies on the cloud rather than proprietary server infrastructure to help companies share information across departments. Cloud ERP software integrates some or all of the essential functions to running a business, e.g. accounting, inventory and order management, human resources, customer relationship management (CRM), etc. – into one complete ERP system. Essential to Cloud ERP systems (and on-premises ERP systems) is a shared database that supports multiple functions used by different business units. That allows employees in different divisions to access and rely on the same information for their specific needs. And with Cloud ERP this is accomplished without requiring an extensive (and often expensive) on-premises server presence. What are the benefits of Cloud ERP? Cloud ERP solutions are more accessible and more mobile than their traditional on-premises counterparts. Companies can upload and access data in real-time via the cloud, from any device with an Internet connection, allowing for greater collaboration among departments. Cloud ERP software also has the benefit of being hosted on one platform. Having all of your business applications, such as your CRM and accounting system, for example, on the same cloud platform allows you to unify your systems of engagement with your systems of record. Instead of having your company’s front and back office applications in separate systems, using one cloud platform allows your apps to talk to each other, share a central database, get real-time reporting and use a single user interface. Does Cloud ERP need to be updated? Unlike traditional ERP software, cloud ERP users receive updates to the software as soon as they are available. Cloud-based ERP is also highly customizable and easily configurable to your business. Do your apps sync, grow, talk to each other to drive business value? Today, a true customer platform must include customer-centric ERP and CRM. Watch this 2 minute video learn why the smartest, fastest growing companies are combining FinancialForce ERP with Salesforce CRM and keeping it all on the Salesforce1 Platform. How does the security of Cloud ERP compare to on-premises ERP solutions? It’s just as safe. On-premises ERP solutions consolidate information into a centralized and encrypted server network. Cloud ERP solutions use this same setup, only the servers are located in secure facilities hosted by a provider who takes on the effort to secure the networks. Cloud ERP providers often leverage infrastructure investments in security and controls in the platform on which their apps are built on, such as the Salesforce Platform. In addition to this, cloud ERP vendors also add their own control processes, security and more by complying with industry-standard audits such as Service Organization Control 1 (SOC 1). Is Cloud ERP as customizable as my current ERP platform? Absolutely. Cloud ERP allows businesses to customize applications, reports and business processes just as much, if not more than, traditional ERP solutions, because the software is more flexible. 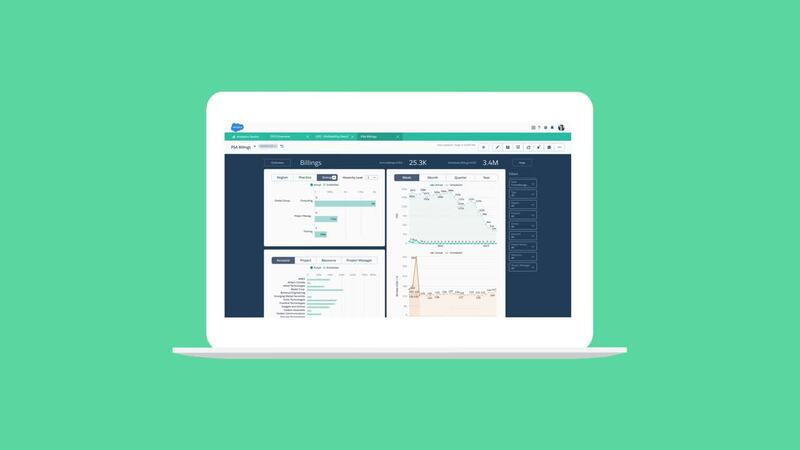 What are the benefits of FinancialForce Cloud ERP being on the Salesforce Platform? Tens of thousands of businesses are already acquainted with having the Salesforce Platform through their Salesforce CRM. FinancialForce has expanded its offerings to reach across enterprise resource planning (ERP) with financial management, subscription & usage billing, professional services automation and supply chain management solutions. The company’s vision is to provide complementary back-office applications to Salesforce CRM that are more customer centric than traditional ERP by combining the system of engagement and system of record in one system. The company also realized that it didn’t need to build the platform itself as it would be better to leverage an industry-standard platform and thus chose the Salesforce Platform, enabling the company to utilize the same social, mobile, workflow and other platform capabilities as Salesforce CRM. FinancialForce ERP breaks down department barriers within your business, making your processes more efficient and your customers happy.